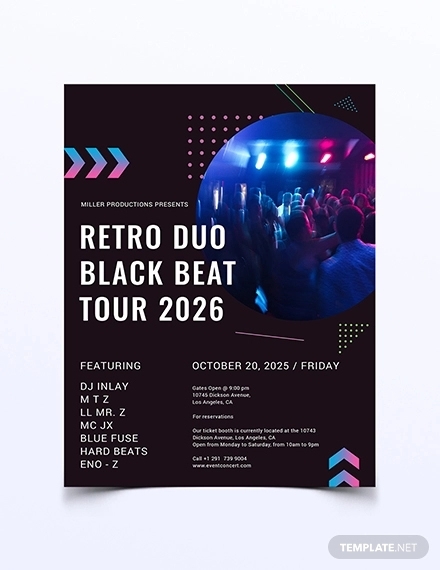 If you’re getting sick of the usual urban party scene with the latest electronic dance music and normcore fashion, take the ultimate blast from the past with a retro theme for your party. 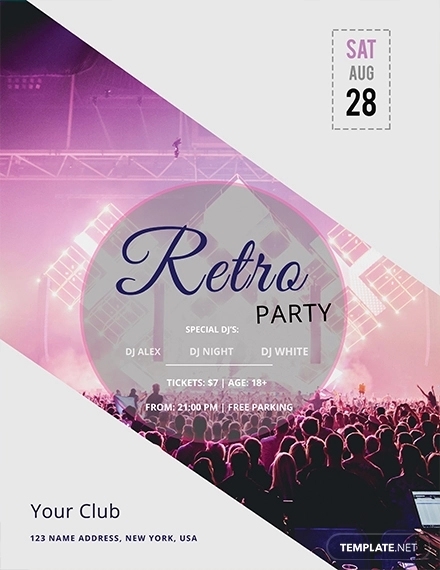 Retro is reliving the lifestyle of 20 to 30 years ago with fashion, music, and design. 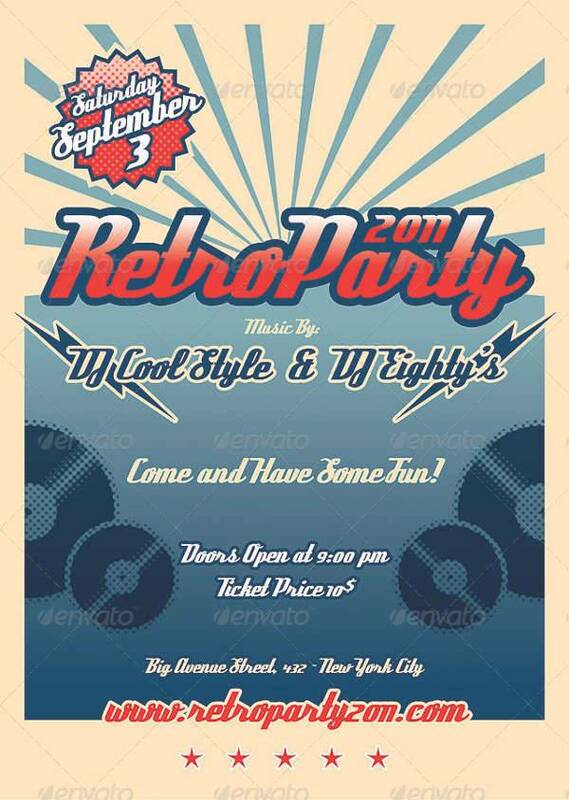 Every now and then, retro-themed parties are being thrown to relive the old-school flavor, and they absolutely rock. If you’re one of the cool old souls trying to bring back the 80’s and 90’s in your party, this list is just for you. 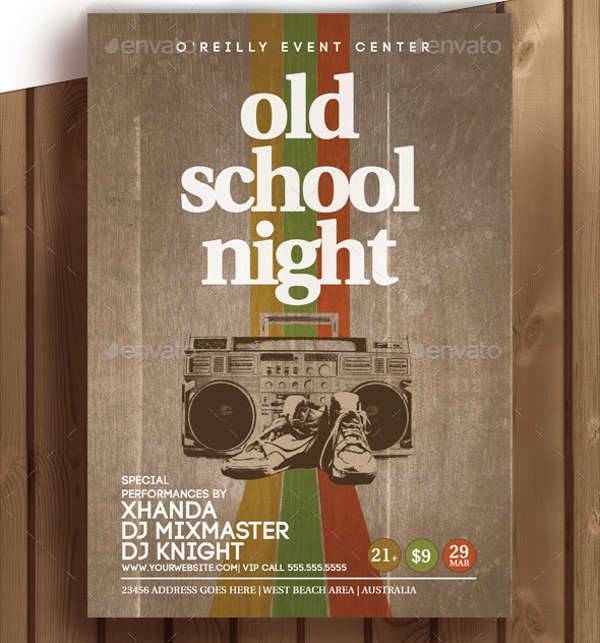 Check out all the cool ways to adorn your flyer designs with all things retro in our list of retro party flyers. They’re downloadable and easy to edit. 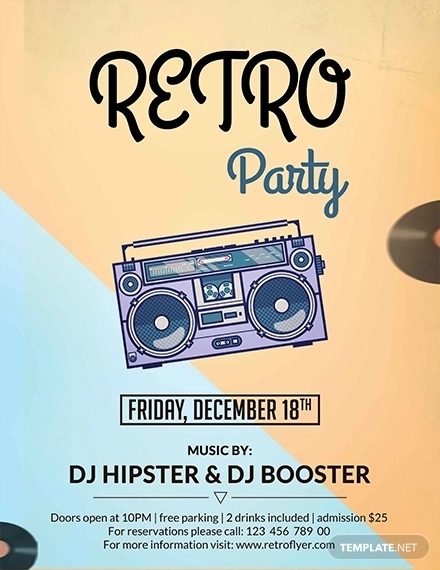 A retro-themed party is nothing short of fun and exciting. 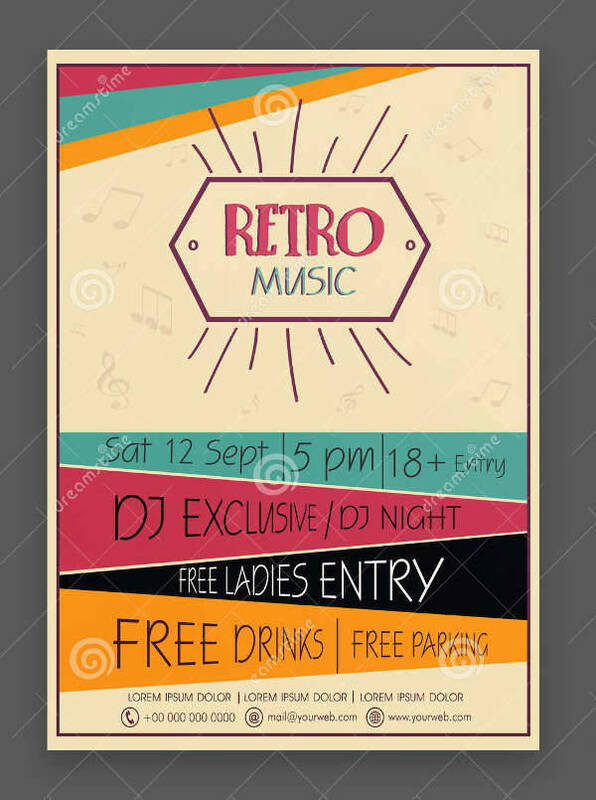 There are plenty of ways to amp up the event when you go retro. 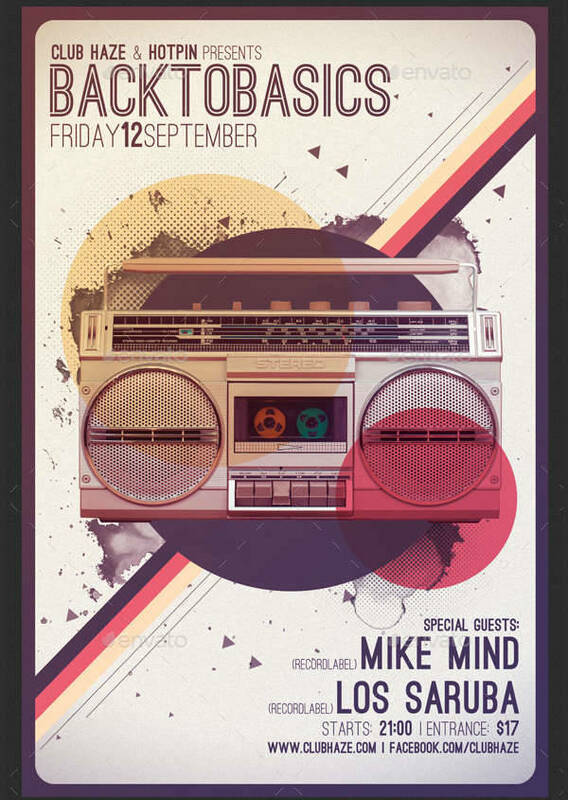 Some parties require you to dress up in purely retro fashion, while others are held to celebrate the birth of Hip Hop. 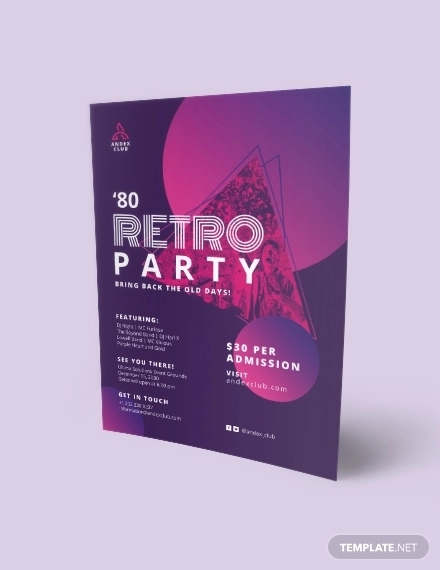 If you’re throwing the ultimate throwback club party, make your flyer look like a retro concert poster with a large boombox and vinyl records. 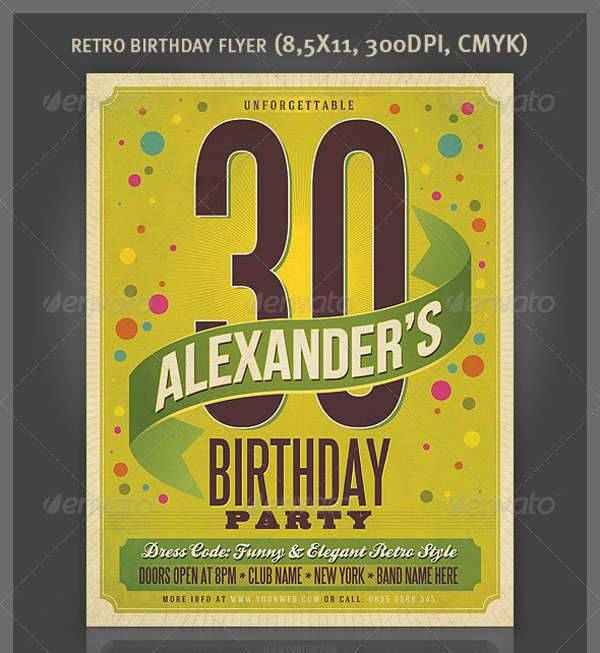 It’s all about funky fonts and pop art with retro, so don’t hesitate to go overboard at times. 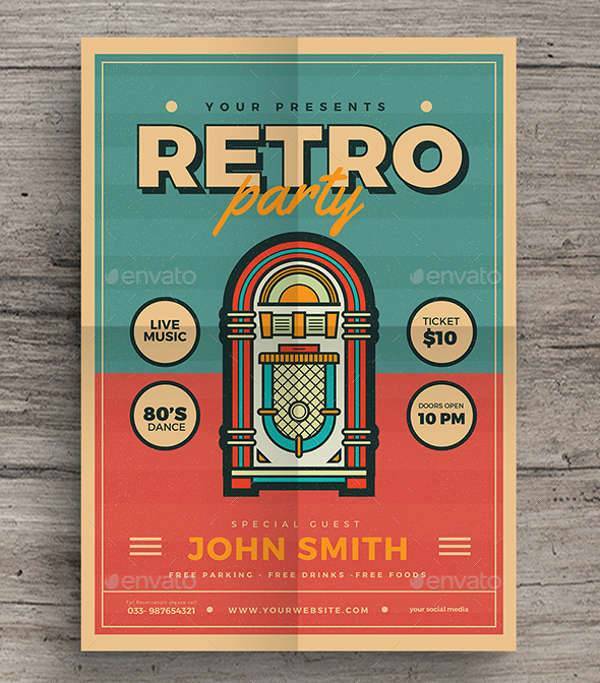 Download our Retro Party Flyer Poster, Minimal Retro Party Flyer, and Old School Retro Party Flyer designs, and go back to basics with your look. 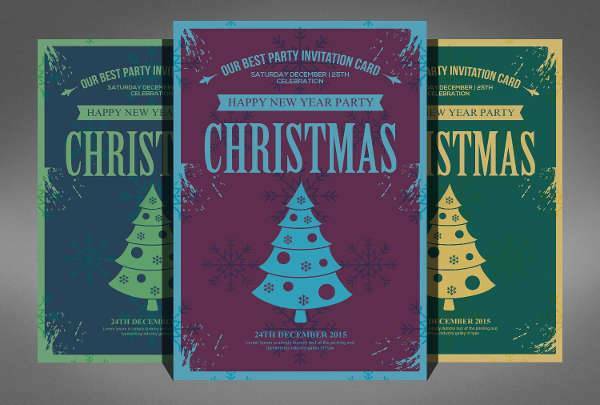 If you want something edgy, our Retro Christmas Party Flyer looks like it came out of an old children’s tale with a distressed look, simple ornaments, and a bold font. 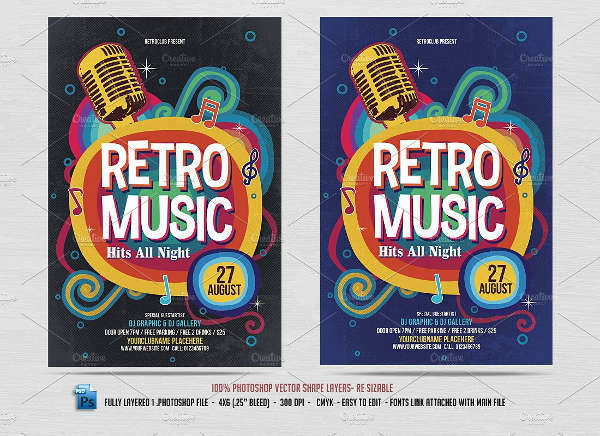 Retro night drink and dance parties are also a playful mix of colors and designs, with crazy font styles and old school icons. 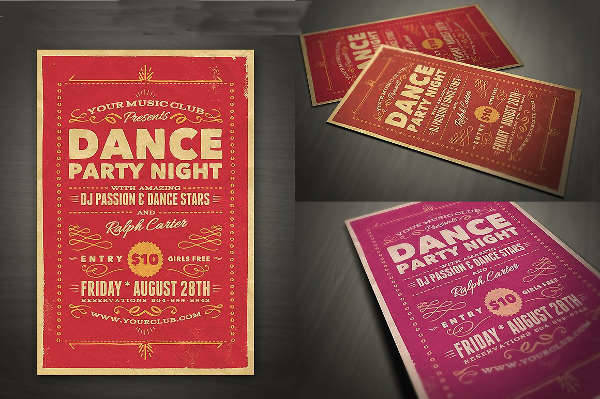 The Modern Retro Jukebox Party Flyer really brings out the funky vibe, while the Vintage Style Typography Flyer paints a nostalgic image with words. 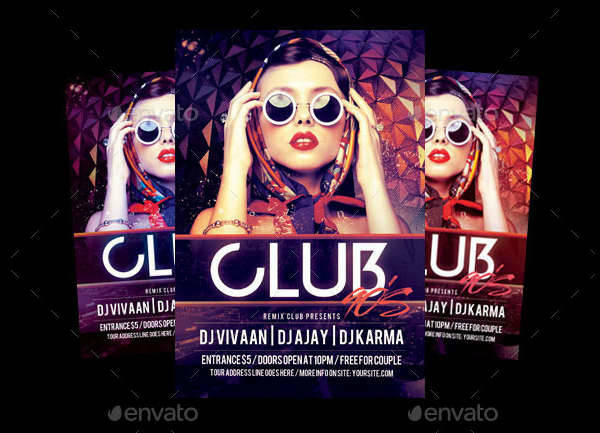 With your party flyer designs, think about what you’re really in for, to get a good grasp of the design elements you might want to incorporate. Different parties call for different looks. The 80’s and 90’s were all about wild color accents, striking fashion choices, and groovy music. The look and the lifestyle was either go big or go home. So if you really want a successful retro themed party, don’t hesitate to go big, or your guests will be the ones to go home. 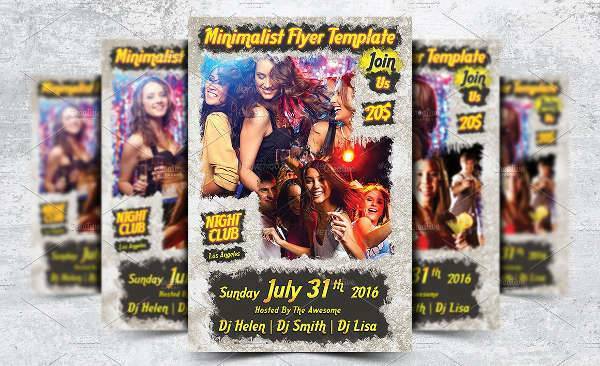 Maintaining a minimalist look for your retro flyers can be quite tricky, but not impossible. 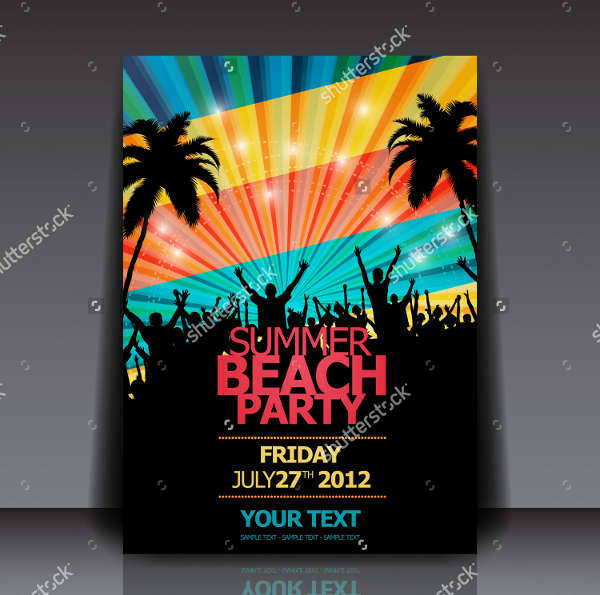 If you want to keep your flyer looking clean and organized, try to incorporate all the basic design element, and keep it at that. No more, no less. 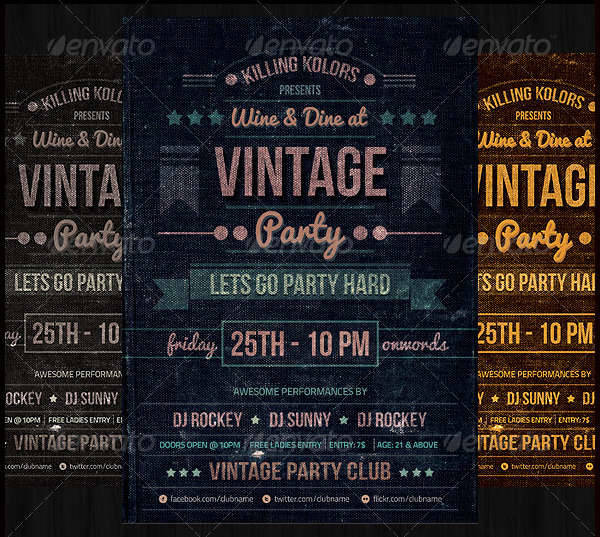 Retro flyers are often bathed in technicolor backgrounds, but if you want to set a new tone for yours, pick a dominating neutral color scheme and incorporate a streak of technicolor here and there for a bit of stylistic chaos. Typography is also a unique approach pursued by some. 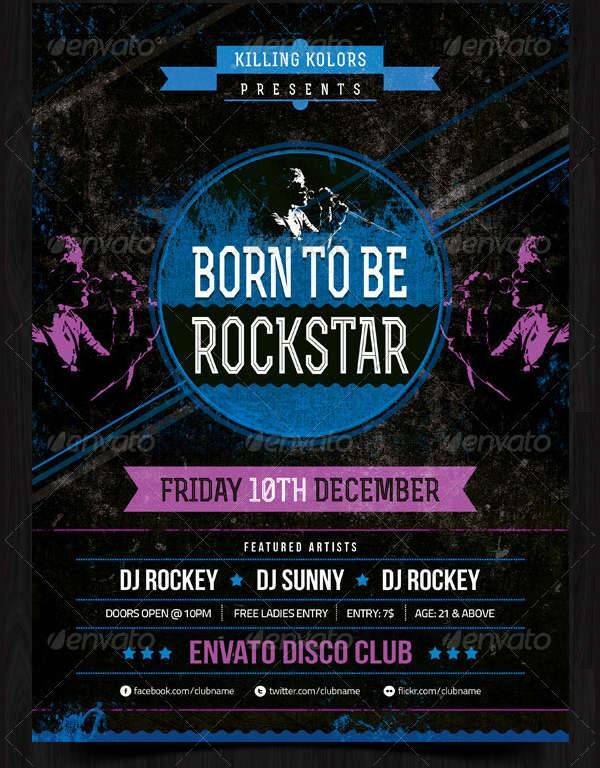 You can create a vivid picture with your flyers by using different styles in typography for every line or word. Organize them in a way that makes them look readable yet presentable. 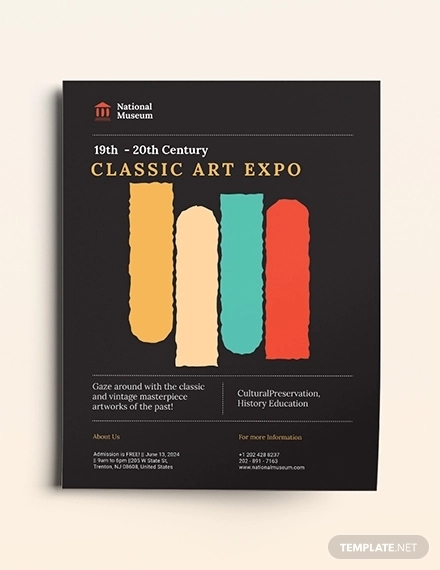 Creating a retro look for your flyers requires some research into the recent past. 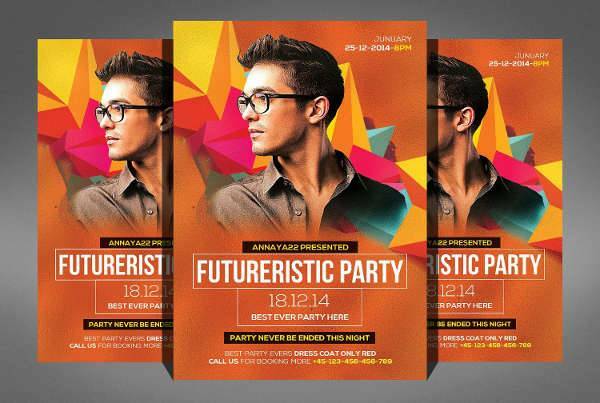 Look for inspiration everywhere when you’re designing your flyers and organizing your party. There’s always something new to discover, even when it’s from the past. 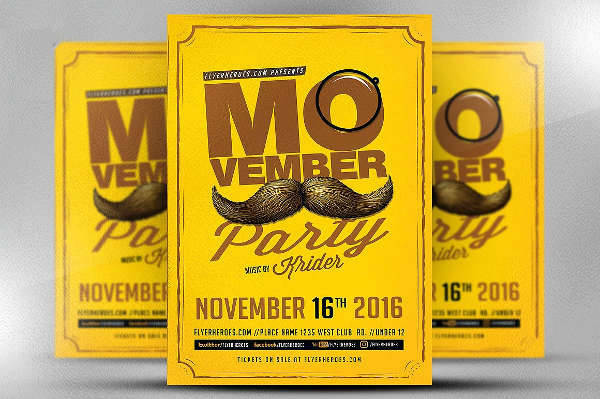 When you’re ready to get started with your flyers, give our list a look and grab all the design ideas you’ll need.